Designed for the toughest jobs, the new Volkswagen Transporter Panel van is built for professionals. Now even more generous with space and efficiency, the Transporter Panel van makes demanding jobs easier. Capable of handling any challenge, a choice of two wheelbases and two roof heights gives you the flexibility of creating a load compartment volume of 5.8 to 9.3m3, with a payload of up to 1,301kg. Visit your nearest Beadles Volkswagen dealership in Essex, Hertfordshire and Kent to find out more. 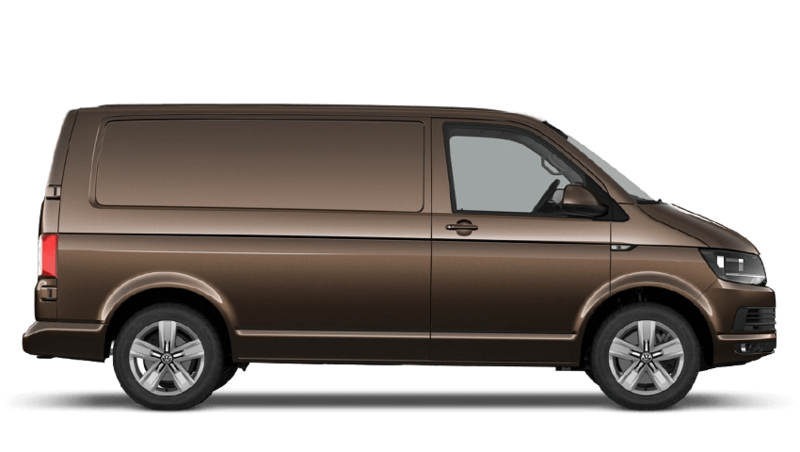 Discover all the latest Volkswagen Transporter Panel Van offers currently available. Every detail matters, view the Volkswagen Transporter Panel Van technical specification. Download the latest Transporter Panel Van brochure. The new Volkswagen Transporter T6 panel van is designed to help you work more efficiently and comfortably. Find the perfect size Transporter for the job with a choice of wheelbase lengths and roof heights and, for easier transporting, you can take your pick from the range of storage options available including metal side-lashing rails, rubber floor load covering and more. Take the stress out of driving with the range of safety technologies included in the new Transporter such as the Automatic Post-Collision Braking System, which triggers braking after a collision to prevent secondary collisions, daytime running lights and driver alert system. Take your office out on the road with the new Volkswagen Transporter. Stay organised with the A4 storage compartment, cup holder with optional waste bin, lockable glove compartment and 1.5 litre bottle storage compartments in the doors. For a helping hand on long journeys, there’s also plenty of infotainment systems including a DAB+ radio system and voice recognition. Inside the Volkswagen Transporter Panel van, precisely designed storage options help to turn your van into a ergonomic working environment. Long working days are made easier by the intelligently arranged cabin, offering everything within reach. Find your ideal seating position with customisable adjustment options available, so you can be comfortable during the toughest of journeys. High-quality finishes on the centre console, dashboard and trims complete the stylish and functional look. Additional storage space can be found underneath the 2-seater front passenger bench by lifting up the bench to reveal a sizable compartment that is perfect for your tools. The Volkswagen Transporter Panel van offers a generation of TDI and BiTDI common-rail direct injection diesel engines with power outputs ranging from 84PS up to 104PS with the Euro 6 emissions standard and plenty of usable torque for shifting heavy loads. Experience the Volkswagen Transporter Panel van for yourself by booking a test drive at your local Beadles Volkswagen dealership. of customers that bought an Volkswagen Transporter Panel van would recommend to their friends and family. Volkswagen Van Centre Hatfield were fantastic because as I put dissatisfied in mechanical preparation, it was all sorted out and I believe the sales team really put themselves out to get it it sorted, sometimes things do go wrong, but it’s how things are corrected. that’s what important and that gives me a good reason why I would recommend them and I would go back myself without a doubt . Beadles Volkswagen Commercials Dartford staff were good because they are very helpful and friendly service. Sarah Norton was very professional, relaxing atmosphere, all went very well, silicons on rubber flooring and foot pedals dangerous, This was rectified by Sarah and all was well. Beadles Volkswagen Commercials Dartford were really helpful and I'd recommend them because, great service and very friendly staff. Paul was a great help. I was pleased with Volkswagen Van Centre Hatfield and would recommend them because a team of professionals works there, who quickly and efficiently provide all the necessary services to the client. I'd recommend Volkswagen Van Centre Hatfield to anyone because Sarah Norton was superb and explained everything in a professional but relaxed manor. Explore the Transporter Panel Van specifications.